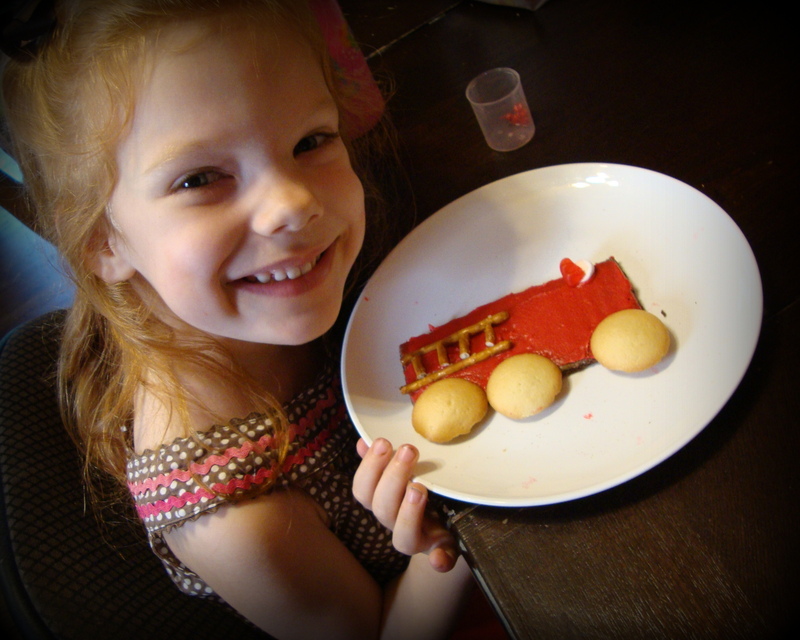 One thing I love about the BJU Press Curriculum is that it offers such a variety of activities and craft ideas and resources–even a snack idea to to along with each unit study. The snack of the week is definitely one of the highlights for my kids! 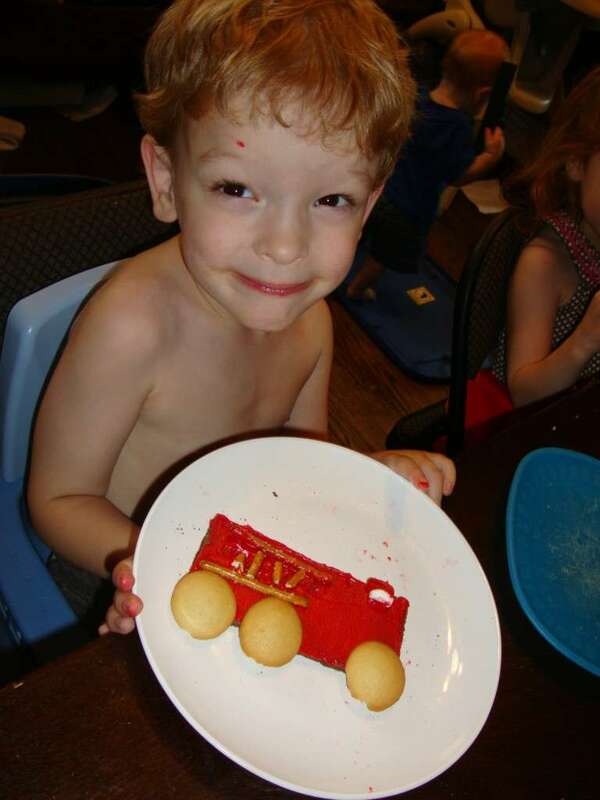 This week it was a fire engine made of graham crackers with red frosting on top. Stick pretzels make the ladder; vanilla wafers for wheels, and gumdrops/marshmallows for the lights. 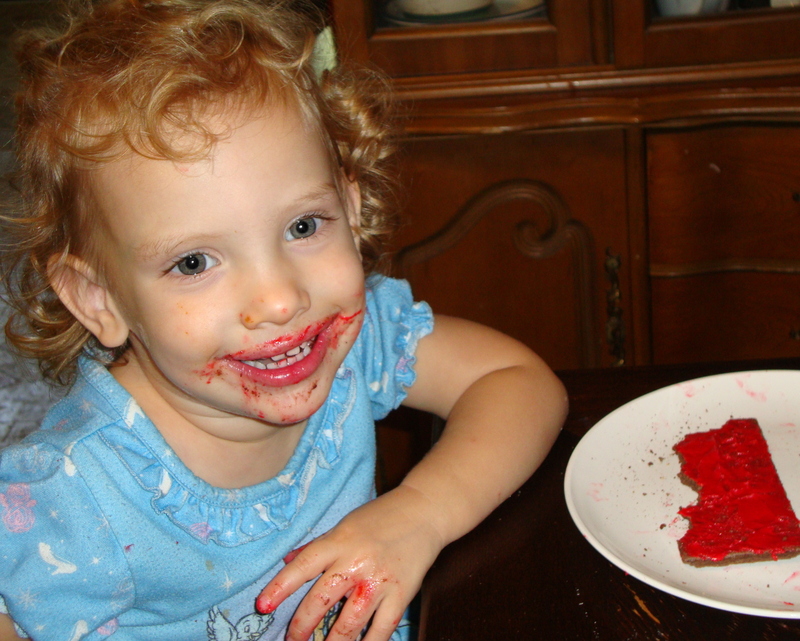 Warning: This snack is VERY messy!! !